Matchy-matchy is so yesterday. 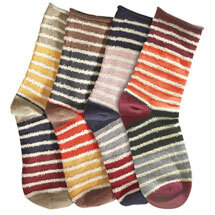 Set includes two packs of four pairs of complementary socks (8 pairs total) to pair and wear any way you like. 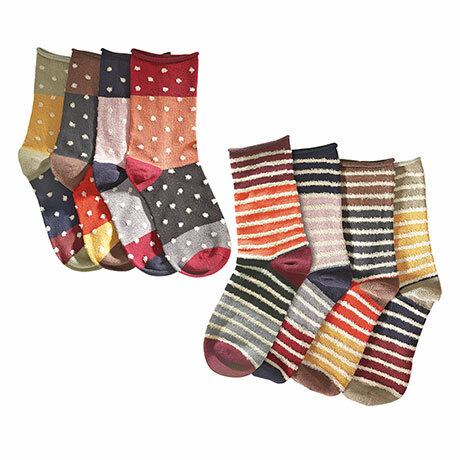 Each is different but all are color-blocked in coordinating colors, either striped or polka-dots, with roll tops and reinforced toes. Cotton/Poly/Spandex blend. One size. Machine wash. Imported. 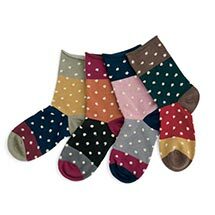 Set includes 4 pairs of striped socks and 4 pairs of polka-dot socks. 8 pairs of socks total.